Mongolia’s president on Tuesday vetoed the 2018 budget passed by parliament in November, saying the planned deficit would violate the terms of an International Monetary Fund (IMF) bailout agreement. Mongolia and the IMF agreed to a $5.5 billion bailout in May to stabilize its floundering economy and its currency, the tugrik, which went into freefall last year. In return, Mongolia agreed to end expansionary monetary policies, introduce austerity measures, raise some taxes and reduce welfare spending. But parliament, known as the State Ikh Khural, did not meet the terms agreed with the IMF after failing to narrow the deficit in next year’s budget, President Khaltmaa Battulga said in a notice published on his official website. The president said the 2018 budget deficit would amount to 2.5 trillion tugrik ($1.03 billion) or 9.5 per cent of gross domestic product, with planned expenditure at 7.7 trillion tugrik. He said both expenditure and the deficit for 2017 and 2018 have continued to rise at the same rate as in previous years. “The State Ikh Khural made a number of decisions to shift the burden onto citizens,” the president said in the statement, adding that the budget violated Mongolia’s constitution. In Mongolia’s parliamentary system, the legislature can vote to overturn the president’s veto with a two-thirds majority. 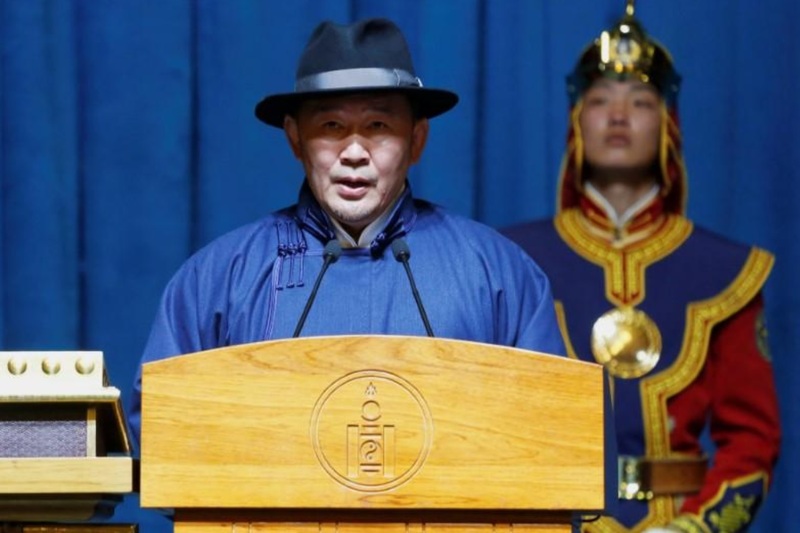 Battulga, who was elected in July, belongs to the opposition Democratic Party, while the Mongolian People’s Party controls 65 of the 76 seats of the State Ikh Khural. Battulga also criticized “inefficient investment projects” and plans for the construction of state-owned buildings while citizens were forced to pay higher taxes. A new progressive income tax will be levied at between 10 and 25 percent starting from Jan. 1, compared with a flat rate of 10 percent now. Last week, Finance Minister Chimed Khurelbaatar told Reuters he expected the pace of economic growth to rise, aided by more foreign investment and a recovery in commodity prices. He projected 4.2 percent growth in 2018, compared with 1 percent last year. The Finance Ministry did not immediately respond to a request for comment on Tuesday.